Lots of things going on today. So here are a list of links I have been reading or need to read in detail still. Thought I'd share. Curse of Strahd is coming. Ravenloft was my all time favorite module to play and run. The Demiplane of Ravenloft was my world of choice during the 2nd Edition days. So I am finding it hard to wait till this new book comes out. Thankfully my FLGS is a Wizard's Premier store, so I should be picking up my copy this weekend. But until then here are some things to keep us all busy. The Witch is out. The movie that is. I have been following this film for months, so I hope it lives up to the hype. So far I pleased with everything I read, though I am not trying to read to much to be honest. Some of my fellow bloggers have already seen it. Once a again a tip o' the hat to my good friend +Calvin Heighton at Calvin's Canadian Cave of Cool for this one. 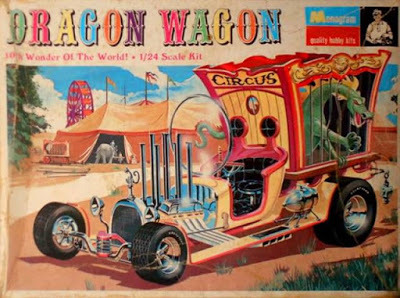 It's a "Dragon Wagon" with a surprisingly familiar font. Is this the conveyance of some mad wizard? A collector from the future? A Gamma World/D&D crossover? No idea, but damn if I don't want to do something with this. Here are some more links of information/pictures. Need to learn a new language? Well there is a Chrome add-in that simulates language immersion by swapping out words you read with those of the chosen language. Which language? Any language in Google Translate's database. Trying it out now. Finally the same folks that brought us the Harry Potter fan film The Greater Good just finished their newest fan film, Severus Snape and the Marauders. I do love a good fan film! I have to say the casting of this is spot on.